Rose started CrossFit in 2011 at the age of 17. Coming from a competitive background in soccer, it wasn’t long before she starting training competitively in CrossFit. Rose has competed at the regional level for 3 years. 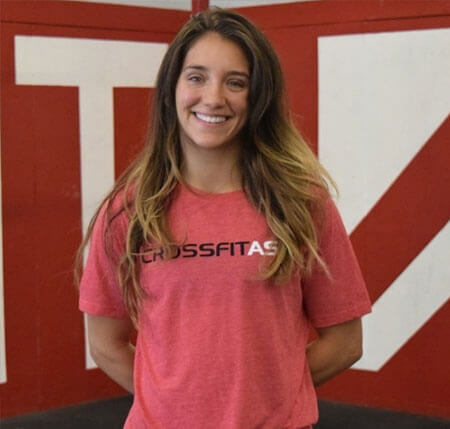 She couldn’t imagine her life without CrossFit and knows what it’s like to be a competitor and an “everyday client” just trying to stay in shape. Sharing both a passion for food and fitness, Rose is your girl when it comes to fueling your body efficiently, for both performance and health.